Frog-style yellow croaker is a modeling dish. 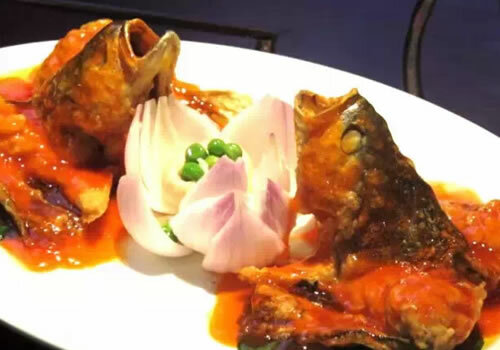 As early as over 100 years ago, Nantong chefs began using the body shape of yellow croaker to give play to their cutting skills, making it as the shape of sleeping frog. After liberation in 1949, Ma Shuren, a Nantong cooking master, improved the sleeping style to one of a sitting style. And the cooking method became more convenient and reasonable, making the “frog” show more of an image of jumping and increases the artistic charm, earning itself high praise from gourmets both nationwide and worldwide. The final dish has a tinge of sweet and sour taste, with outside crisp and inside being fresh and tender.